Sometimes when viewing sculpts from a distance, you will see that they are incomplete. 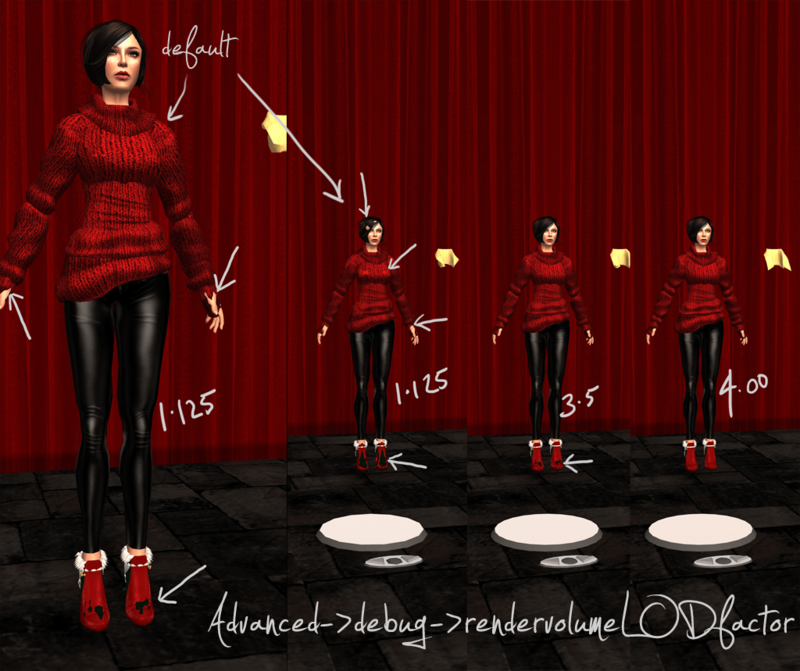 This is not a texture issue, this is an issue with the way the SL client renders sculpties from various distances. The image below demonstrates the problem. It’s a simple fix. Read below for more. Increase the number shown to 4, 5 or 6 and press enter. Close the debug menu and enjoy your pretty sculpties.